This activity is a combination of 3 experiences. 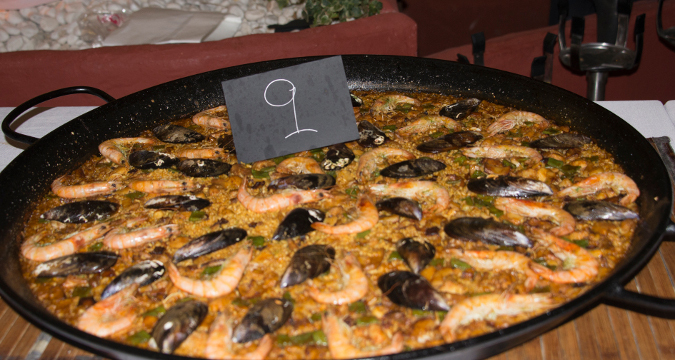 The first part of it consist in a gastronomic treasure hunt, in which the objective is to get the largest number of ingredients through a series of challenges, to cook later the paella. The second part will be to get the group to the restaurant, where they will learn to prepare the typical spanish "Sangria" (the original one) and to redeem the points obtained in the gymkhana. 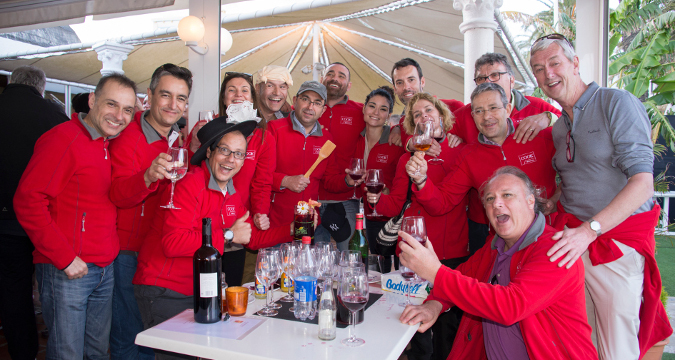 The winning team will have to perform very well at the ipad team game, at the sangria preparation and at the paella cooking competition in order to win the overal competition prize. The "Play and Cook" team building activity is ideal for small to very large groups looking for a complete experience combining team work, fun, culture, gastronomy, meal, etc. The "Play and Cook" event can be fully adapted to meet your requirements, available time and budget. 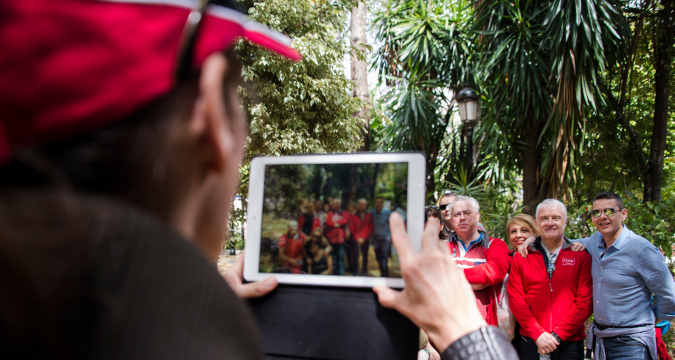 We can include many options like entertainment during dinner, videography of the team building, special catering requirements, specific challenges during the ipad treasure hunt (segway circuit, magician game, drumming contest, etc). 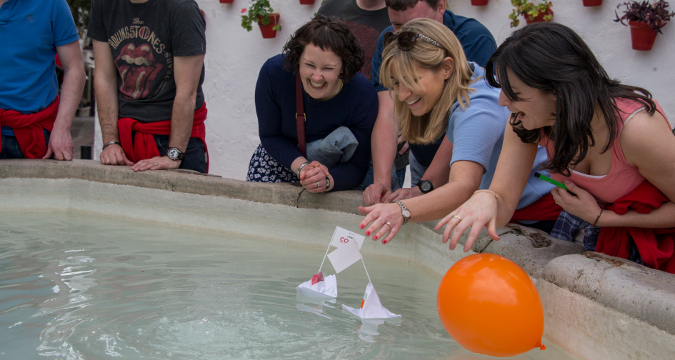 ExperienceBox is a multilingual group specialized in Corporate events services and team building / incentive activities on the Costa del Sol (Marbella, Malaga, Estepona, Puerto Banus, Gibraltar, etc) and Adalucia (Sevilla, Granada, etc). Our DMC and MICE services cover accommodation (venue finding for seminars, conventions, business meetings, Gala dinners, etc), transport and entertainment, and our team building activities department designs and produces taylor-made group experiences.